How to format a Word document. Courses often require different settings for research papers with different margins or line spacing. 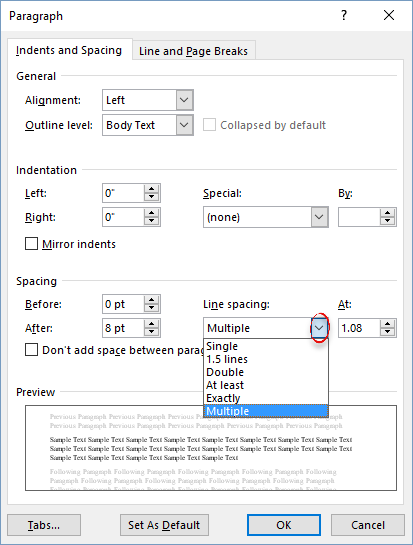 Instructions on how to adjust these settings in Microsoft Word are below. 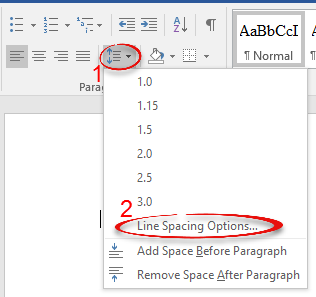 Step 2:Under Line Spacing, click the drop down menu and select the option(s) you desire. Check to be sure the Spacing before and after fields are set to 0 pt. or you will have additional space. Step 1:Click on the Page Layout tab on the ribbon. Click Margins. Step 2:Select the option you desire or click custom to set up your own margin widths. Step 1:Click on the Insert tab on the ribbon. Click Header or Page Number depending on what you want to do. Step 2:Select the option(s) you want for your document. 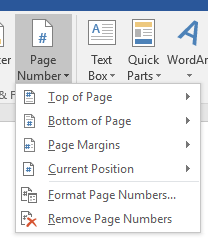 If you have already typed anything in the header/footer before inserting a page number, it is recommended that you use the "current position" option so that typed content doesn't get deleted. For more information on settings for particular styles, such as MLA or APA, visit https://www.owl.english.purdue.edu/owl/section/2/.